Our Quik Shade 10 x 10 Canopy Wall Panel for Slanted Legs gives you an extra single wall for your 10 x 10 Quik Shade canopy with slanted legs. 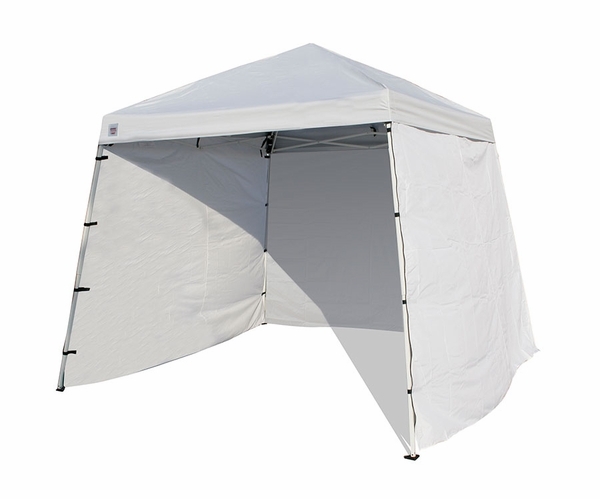 Use it to protect from wind gusts, to provide extra shade, or to create a privacy screen. The white wall panel is constructed from tough woven polyethylene. This wall panel is designed to work with our Quik Shade W64 Instant Canopy, and can be attached to the canopy using nylon zippers. Make your quality Quik Shade canopy even more effective with this versatile wall panel, designed to give you the protection you need from sun and wind all year long!